A privacy fence can go a long way in helping keep looky-loos and nosy neighbors out of your yard. But how does a privacy fence vary from any ordinary fence on your property? Read on, and we’ll make that distinction and go over the regulations and courtesies you’ll need to adhere to if you decide to build one. Do you have to call your neighbors before you start the home improvement project? And what is this type of fencing going to cost you? 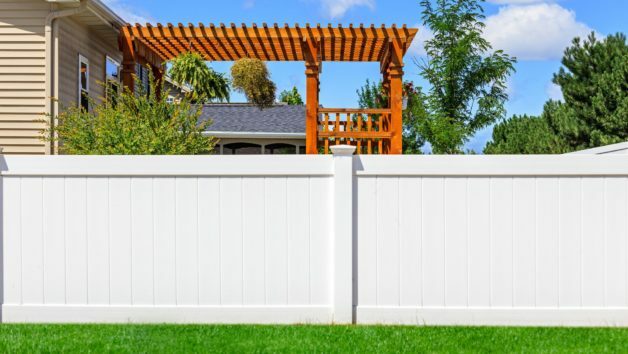 We spoke with experts to find out everything you need to know about surrounding your yard with a privacy fence. Technically, a privacy fence is just that: a fence! But in order to offer a shield from the outside world and qualify as a “privacy fence,” the fencing must be at least 4 to 6 feet tall, says Matt Michaels, a spokesman for Lowe’s Home Improvement in Charlotte, NC. Also: It’s typically solid. “They’ll have a solid infill so you can maximize your privacy,” Michaels explains, meaning they won’t have large gaps in between the slats or the sorts of holes you see in most chain-link fencing. That said, some privacy fences do have latticework near the top, above the 4-foot mark. The crisscrossing of material with gaps, similar to the lattice atop a cherry pie, allows visibility up high, but privacy down below. Why bother with a privacy fence, instead of a standard fence? What is a privacy fence made of? Previous articleWill Stock Market Volatility Affect House Prices? Next articleWhat Is Influencer Marketing And How Can I Find An Influencer? My company works with fix-and-flip investors every day, and one of the most common challenges we hear from borrowers is the difficulty in finding viable investment properties to purchase. So, what’s an investor to do? How can you find investment properties in a housing market with limited inventory — where you’re competing not only with buyers looking for a primary residence, but also with other real estate investors? A statistic in that same Reuters report offers a clue to one possible strategy: In December 2017, permits approved for new construction of single-family homes reached their highest level in a decade. Constructing a new home will be more costly than renovating an old one, but if you’re able to acquire a lot or dilapidated property at a good price, you can still realize a nice profit on the flip. When you take all of this into account, you can see why flipping your newly constructed home can put you at an advantage over other homes for sale in the area. The quick funding, reliability and attractive terms offered by many of these institutions make this strategy — tear down, build new, flip — a more viable investment option than it’s ever been. Make sure your build site is in a viable real estate market. So first things first: Study the area’s economic, population and demographic trends. Work with a real estate agent who specializes in site purchases and/or new builds. No Such Thing As Real Estate Ethics?